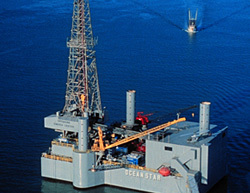 The Ocean Star Offshore Drilling Rig & Museum is open daily from 10:00 A.M. to 5:00 P.M. 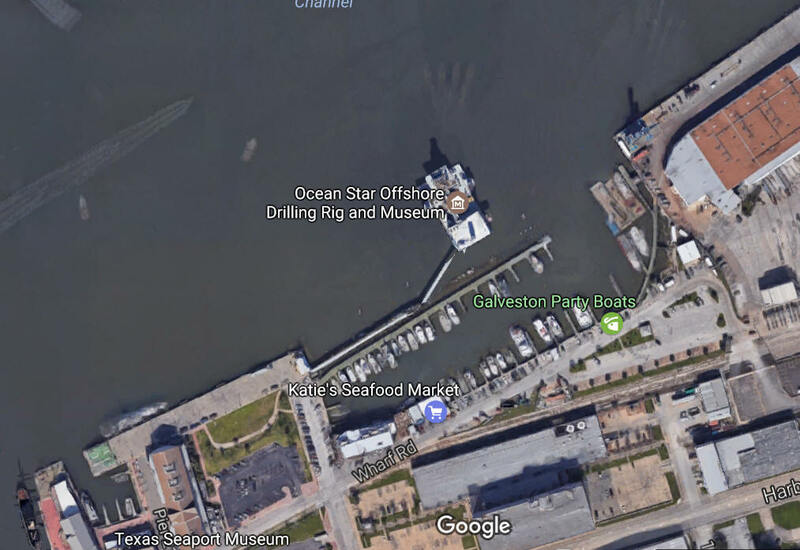 The Ocean Star Offshore Drilling Rig Museum and Education Center is located on Galveston Island, Texas, less than an hour from downtown Houston, the world's petroleum capital. Following a leisurely tour inside the museum, visitors can take the skywalk out onto the drill floor of the rig, or visit the exhibits on the pipe deck from the first floor of the museum. We are delighted that you are interested in visiting the Ocean Star Offshore Drilling Rig Museum and Education Center. Our one-of-a-kind facility gives visitors the opportunity to learn about the offshore oil and gas industry, all while being aboard a retired jack-up drilling rig. The museum is a self-guided facility. Museum guidebooks are available for purchase in the gift shop and an audio tour package is available for those guests that want a more in-depth experience. Reservations are not required for individuals or family groups. Tickets can be purchased upon arrival in our Gift Shop. The following information applies to large groups, either from corporate companies, church groups, or any type of youth group (school field trips, bible school groups, or scout troops), planning to visit the museum. Senior tours are available to aged 55 and older. The museum is a self-guided facility, and groups can visit at their leisure after an introduction and film. An audio guided tour may be arranged for a more in-depth experience for an additional fee. Audio tours consist of hand held random access units for each member of the group and contain more than two hours of recorded interpretive information provided by museum, engineering, and offshore professionals. To receive the special group rate, the payment must be made in one transaction and the tour must be booked at least two weeks in advance. Although the Ocean Star Offshore Drilling Rig Museum and Education Center was a working drilling rig, it is now a public museum and museum manners apply. You do not need a hard hat on your visit, but there are restricted areas. Due to the nature of the facility, it is important that visitors do not run, jump, climb, or cross designated barriers at any time. Our institution places a priority on safety, and inappropriate behavior is an extreme liability not only to visitors but to our facility and collection items as well. Any group participants displaying unacceptable behavior may be asked to leave. Refunds will not be granted. Food, drinks, gum, and candy are not allowed in the museum.